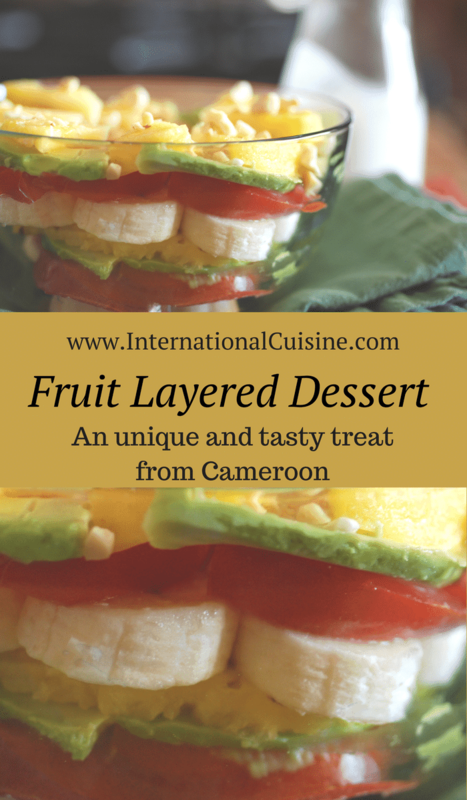 Cameroon banana and pineapple layers dessert was an interesting combination of flavors. 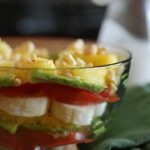 I would not normally think to pair tomatoes and avocado with banana and Pineapple but it was unique and pretty tasty. Cameroon banana and pineapple layers was also sprinkled with some roasted peanuts and coconut cream, it made for a cool, light ending to our Cameroonian meal. It would be great for breakfast too. A unique pairing of flavors that was a cool and tasty way to end our Cameroonian meal. Place the coconut cream in a pan and bring to a boil. Set aside to cool. 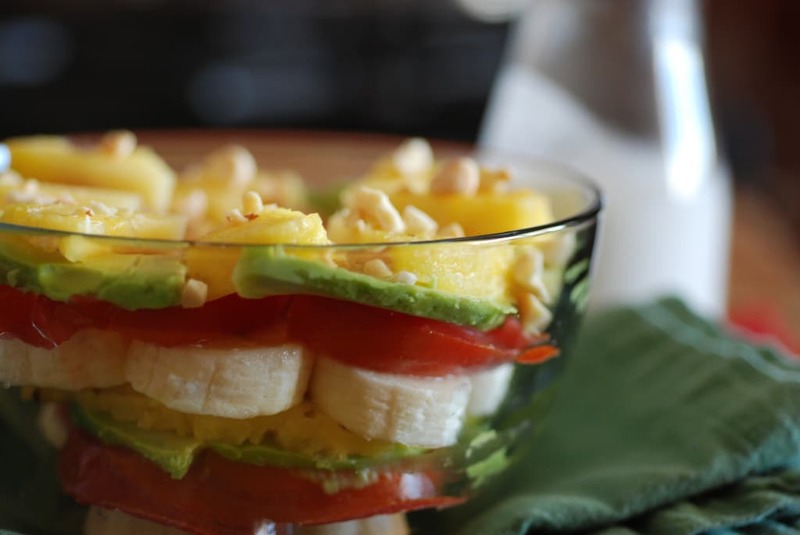 Meanwhile, pile the bananas, tomatoes, pineapple and avocados in alternating layers in individual in individual bowls. Top with the thickened coconut cream and sprinkle with the chopped peanuts.